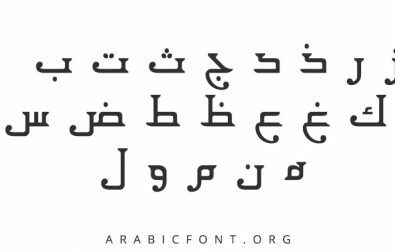 Today’s Arabic alphabet can be traced to the Phoenicians, an ancient civilization that inhabited coastal areas of present-day Lebanon, Syria, and Palestine from 2500-539 BC. The Phoenicians were a trading people and their cultural influence spread by sea throughout the Mediterranean world. 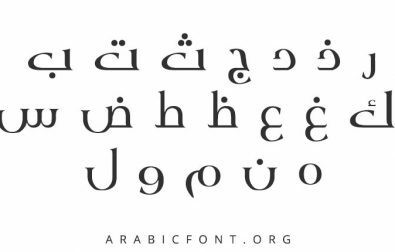 An alphabet for writing Phoenician emerged around 1300 BC in the town of Byblos in modern-day Lebanon. This writing system influenced a large number of later alphabets. These included the Indo-European languages such as Greek, Latin, and eventually English. It was also adopted by Semitic languages, including Aramaic, Nabatean, and Arabic. Around 100 AD, the first proto-Arabic script known as Old Kufi (or Kufic) appeared in Kufa, a city located about 170 KM south of modern-day Baghdad. The old Kufi script contained seventeen letters and lacked the diacritic markings used to distinguish between letters of an identical shape or marks for vowel sounds. 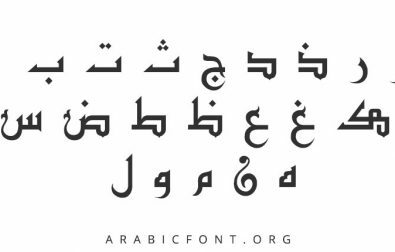 As the writing system grew in popularity, these markers were gradually added, along with additional letters to reach today’s 29, including the hamza (glottal stop). Following the Prophet Mohammed’s death in 632 BC, the religion of Islam emerged from the Arabian peninsula to conquer territory from Morocco in the west to India in the east. 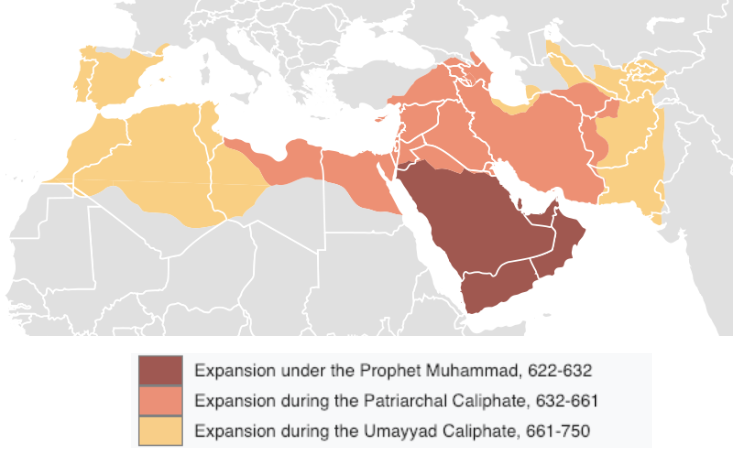 While the Qur’an was transmitted orally in Islam’s early years, the caliphate’s rapid expansion created a need to systemize Arabic writing in order to ensure correct recitation of the holy text. In the early Islamic period, the Qur’an was written in the Kufi script almost exclusively. Over the years, the script grew in complexity as diacritical markings and ornamental accents were added. The illustration below shows the development of the Kufi script over the 7th-11th centuries. As Islam spread, text was used as a building block for increasingly elaborate architectural and calligraphic works. This was partially driven by Islam’s prohibition (observed to varying degrees over place and time) of representing the human body in art. Throughout the Islamic world, stylized forms of Kufic script began to appear on coins, ceramics, buildings, and calligraphy. Frequently, although by no means exclusively, these Kufi patterns occurred in square shapes to emphasize the clean right angles of the script. The angular form also lent itself to easier writing on stone and other hard surfaces. 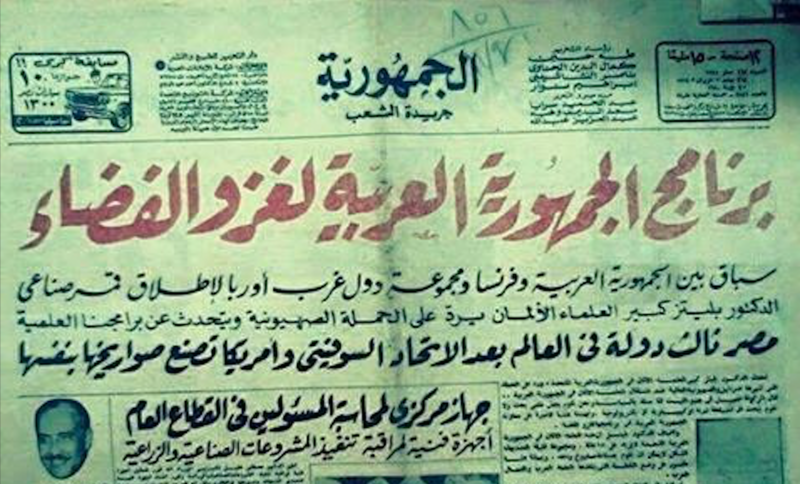 While it would be quite rare today to see a newspaper or official document set in an angular Kufi font, the script has made a comeback of sorts in modern design, particularly in logos and other stylized applications. The Kufic script also appears in political contexts to evoke a connection with the early days of Islam’s rapid expansion. For example, Iraq’s official flag bears the words Allahu Akbar (God is great) rendered in an early Kufi script. 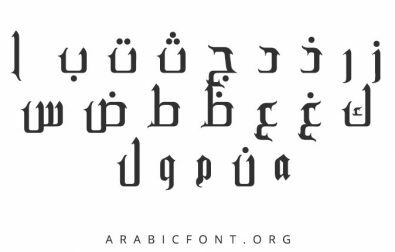 The Thuluth script, an ancestor of many popular contemporary Arabic fonts, dates to the seventh century AD, but was codified in the ninth century under the Abbasid caliphate (750-1258 AD). Ibn Muqla (855-940 AD) unified and developed the Thuluth script and was a critical figure in the development of Arabic calligraphy as practiced throughout the Islamic world. Born in Baghdad, Ibn Muqla served as a scribe under the Abbasid caliphate, where he administered the official library. From this post, he wrote extensively on calligraphy, emphasizing theories about the relation of letter shapes to each other. 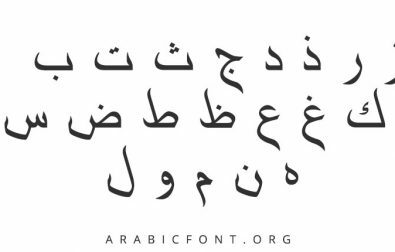 While the exact roots of the script’s name are unknown (thuluth means one third in Arabic), it is thought that the proportion either refers to the ratio of straight line to curve, or the proportions of the letters one to another. Others argue that the name refers to the bamboo pens used by Arabic calligraphers during the period. As developed by Ibn Muqla, the basis of the Thuluth script is the relationship of letters to a circle with diameter set by the length of an alef, the first letter in the Arabic alphabet. In contrast to Kufi’s stark right angles, Thuluth emphasizes curvature and elegant, oblique lines. 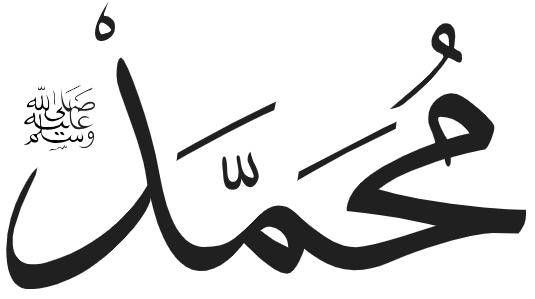 Thuluth is best distinguished by the sharp upward hook of descending letters. It is also marked by the leftward slanting vertical strokes and the deep curves of horizontals. Letters frequently overlap and interlace, and can take on a variety of alternative shapes depending on the layout of the words. Thuluth was almost never used for copying the Qur’an and other religious texts, but found popularity as an ornamental script for calligraphy, colophons, and section headings in book manuscripts. 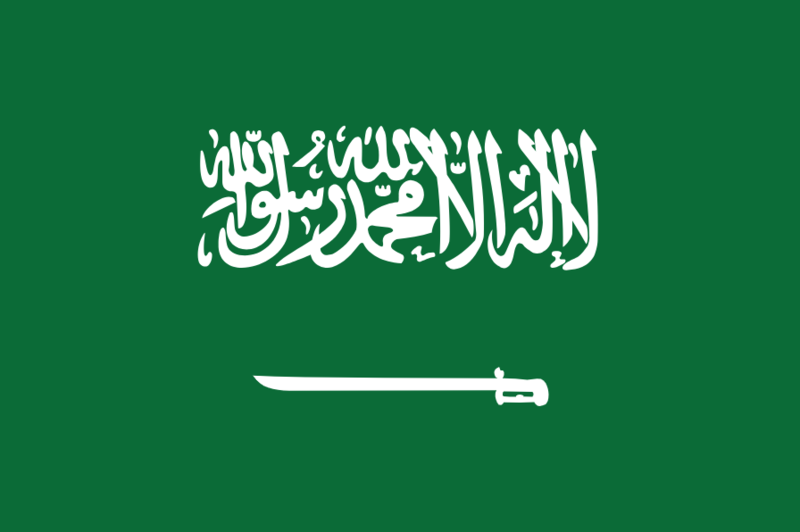 A Thuluth design can be found on the contemporary flag of the Kingdom of Saudi Arabia. While Thuluth was predominantly used for headings in religious texts, the Naskh script was its less ornate companion often used for copying the main body of books and official documents. It eventually supplanted Kufi as the preferred method for copying the Qur’an’s body text and frequently accompanied Thuluth. The rounded script, whose name is derived from the Arabic for “to transcribe," Naskh was known for its relative ease of both reading and writing. The distinguishing features of Naskh script include relatively compressed letter shapes, a slight leftward lean of the text, and hooking upward strokes. Naskh is often described as “balanced" due to the equal division between flat and rounded shapes and between strokes of differing weight. 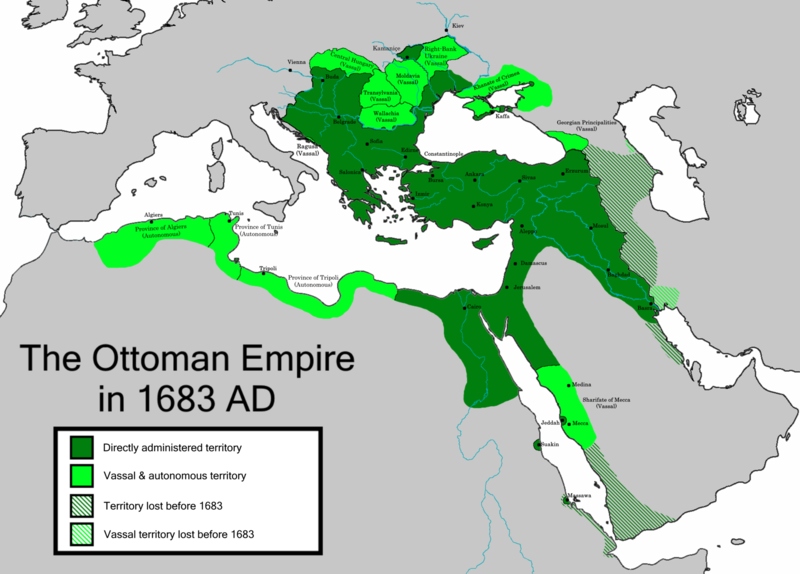 Lasting from 1299 to 1923, the Ottoman Empire at its height controlled territory from modern-day Algeria in the west to Basra in the east, and stretched as far north into Europe as Hungary. With its capitol in Constantinople, the Ottoman Empire united much of a fragmented Islamic world and thus exerted a centralizing force on Arabic and its writing system. 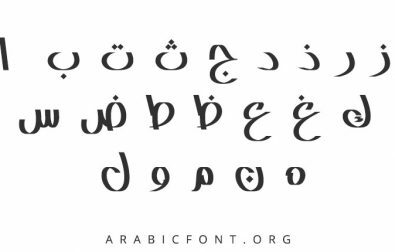 During the Ottoman Empire, several new types of Arabic script emerged that can be considered the direct ancestors of many contemporary Arabic fonts. 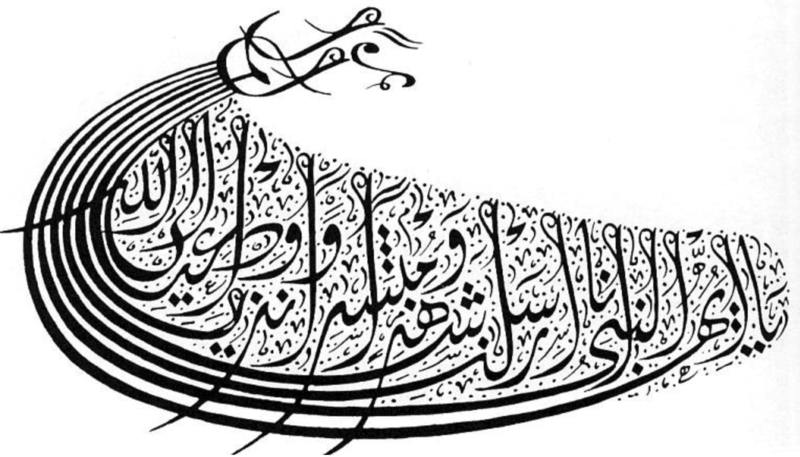 As its name suggests, the Diwani (or Divani) script was developed at the Ottoman royal court in the 16th century. Unlike the largely religious usage of Thuluth and Naskh, Diwani was mainly used for producing political and bureaucratic documents. These included proclamations, land titles, endowments, correspondence, official seals etc. 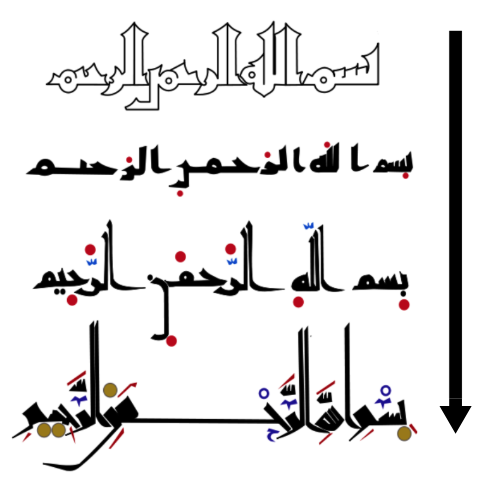 The most notable features of the linkage of letters that are not ordinarily connected in Arabic and the upward slope of the lines. The writing was highly ornamented, with blank space being filled in with ornamental flourishes. 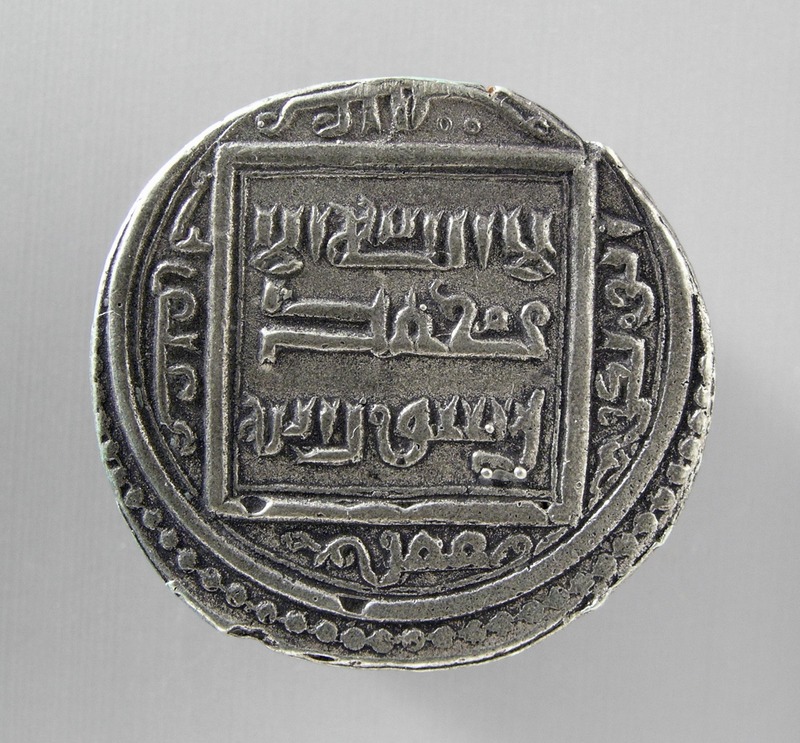 This high degree of ornamentation has given Diwani a reputation for illegibility, although it had less highly decorated variants that were more accessible. This illegibility was often considered a feature, not a bug, during the Ottoman period as it was incredibly difficult to forge and the meaning inaccessible to all but a highly trained elite. The majestic sweep of Diwani lends a sense of authority and power to text, which makes it a favorite for contemporary use in the correspondence of heads of state and for ceremonial occasions. Due to its highly stylized nature, Diwani is rarely found in modern computerized fonts. Instead, it is a favorite for custom calligraphic works. While Diwani was used for non-religious, “high" occasions, the Ruq’ah writing style which also emerged under the Ottomans during the 18th century was used for day-to-day handwriting in both the Turkish and Arabic languages. Travelers to the Middle East today will see Ruq’ah used on hand painted signs, movie posters, and to evoke a popular, mass-market sensibility. 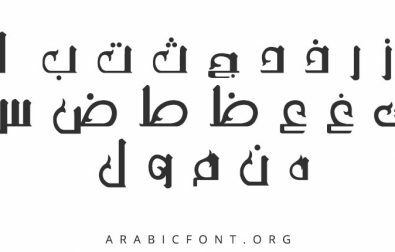 The Ruq’ah style is based on a simplified Diwani style, eliminating almost all flourishes including vowel markings, and favoring economical, thick strokes. 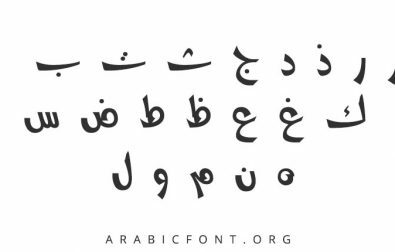 To this day, it remains the most popular handwriting style throughout the Arab world and is known for ease of reading and writing. The area that is now Morocco never fell under the sway of the Ottoman Empire, and thus managed to resist many of Constantinople’s centralizing tendencies. 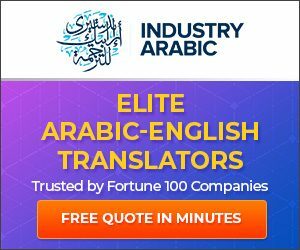 To this day, the Moroccan Arabic dialect remains quite distinct from the other Arabic dialects and Morocco also developed an instantly recognizable writing style. 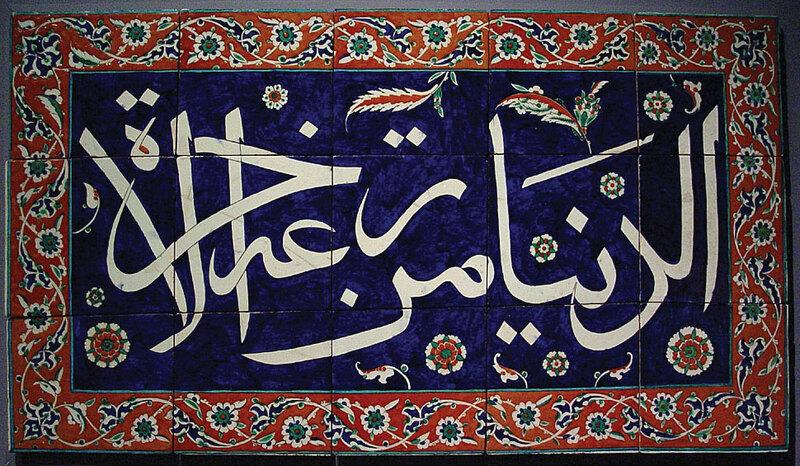 The Moroccan style of Arabic lettering is known as Maghrebi. Most scholars contend that it emerged as a recognizable form around the 10th century AD in northwestern Africa and the Andalus region in what is today southern Spain. 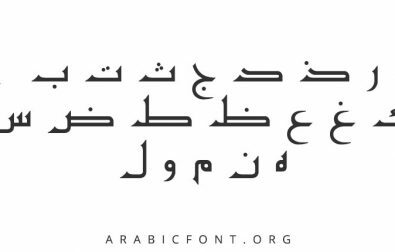 Maghrebi takes its stylistic queues from the Kufi script. The Maghrebi style, with some variations, was used in a wide variety of contexts, from copying the Qur’an, to bureaucratic correspondence, to marriage contracts and other official documents. 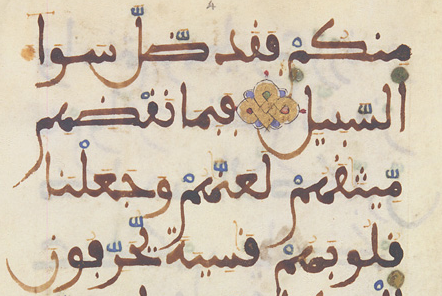 Maghrebi was frequently written in brown ink and in strokes of uniform thickness. 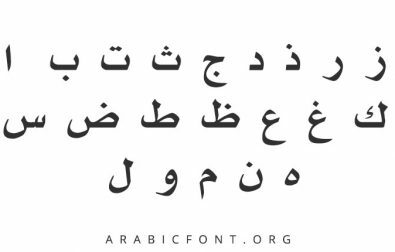 Stylistically, Maghrebi is distinguished by sweeping, looping curves on final letters and relatively flat diacritics. It is written on a flat baseline and letters frequently change shape depending on the aesthetics of the full word being written. http://www.kufic.info: A trove of examples from Persian sources of the Kufi text patterns in writing, architecture, and coinage. http://calligraphyqalam.com: A wonderful resource on Islamic calligraphy and styles, with an emphasis on learning calligraphy. 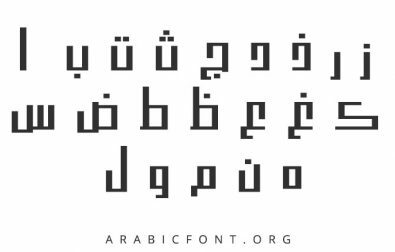 https://blog.29lt.com: Interesting blog of a Beirut-based custom Arabic font and design studio. 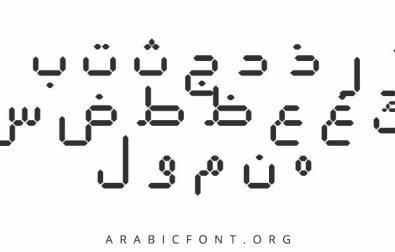 http://www.arabictypography.com: From Barcelona-based designer Tarek Atrissi, who runs a custom type foundry for Arabic fonts. A wonderful source of inspiration for contemporary digital fonts, particularly in the media sector.